Common product packaging includes carton packaging, plastic packaging, handbag packaging, and plastic box packaging. Product packaging, as a label for products and brands, often serves as a soft competency for product competition, helping to differentiate products from other brands and helping brands gain a unique competitive advantage. Custom packaging or purchase packaging is a must-have option for all product owners. But is there a full awareness of custom packaging? We will tell you about the top ten mistakes that are common in custom product packaging. Before customizing the product packaging, just take a photo to confirm the packaging sample, and do not directly send the sample confirmation. The new product owner or brand that enters the market is vague about the concept of custom packaging, and the concept of the sample is also very vague. Maybe look for a picture on the Internet, tell the packaging manufacturer, this is the style you need, and tell the size of the product, there are simple requirements. The packaging manufacturer will design and produce the packaging samples and take photos to the customer. Some customers will confirm the final package manufacturing based on the picture. But is this reasonable? This is very unreasonable. Different materials have different effects on the packaging. The subtle size of the package, such as 3-5mm, will result in the product not being perfectly embedded inside the package. As well as the color difference of the package, paper hardness, etc., it is difficult to judge by photograph.
. Many of our new customers, without any preparation, require us to deliver custom packaging to a designated location within two weeks of workdays, which is very difficult. Or some of our new customers will participate in product exhibitions in the next week, that to consider custom packaging, so that the products have a better display. It is often difficult to manufacture the package in a short period of time. Even if the packaging is producted on short time, it is difficult to guarantee that the package will be delivered to your location in a short period of time because there is shipping time in the middle. And without planning enough time, it will be difficult to design the package in every detail. Packaging as part of the product affects the overall cost of the product as well as the selling price. Many companies are strictly controlling costs, and they always want to get the packaging at the lowest price when custom packaging. This is very reasonable. However, the cheaper the package, the harder it is to achieve good quality, or the poor publicity. 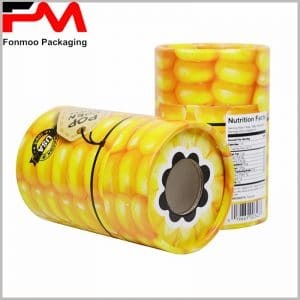 For high-quality custom packaging manufacturers, the price may be 10%-30% more expensive than other manufacturers, but the quality is very good. However, many product manufacturers will choose low prices and will give up excellent partners for $0.10. However, there will be many problems, such as delayed delivery time, unqualified packaging quality, redoing, etc., which will have a very bad impact on the product. Failure to properly arrange custom-packaged shipments in advance will result in significant losses to the overall cost. The cost of air cargo is usually 4-5 times the cost of shipping. If you do not reserve enough time to arrange shipments, you will find that the cost of air freight packaging will be much higher than the cost of custom packaging, resulting in high overall costs and reduced product profit. Most cross-border transportation also involves customs declaration, and it is also possible to include the time for filing tariffs in the shipping time to avoid a passive situation. If you are still stuck in over-packaging, and think it will increase the added value of the product, which will cause you some trouble. Over-packaging products will increase the cost of the product, making the products purchased by consumers more expensive. Secondly, the volume of over-packaging is huge and inconvenient to carry, which will lead to unpleasant of the customers. Excessive packaging can result in waste of resources and does not meet the requirements of environmentally friendly packaging. Simple, compact packaging is more popular. For the new entrants of the market, many people want to show the product information to the customer in detail, the more detailed the better. Therefore, many product users will print a lot of product information in custom packaging, but this will make the packaging look messy, and consumers don’t know what the focus is. Customers prefer simple packaging, and they can immediately see the characteristics of the product when they see the package, rather than looking for product features in complex instructions. For some product parameters, instructions for use, etc., can be reflected in the product Instruction manual, rather than on the surface of the product packaging.